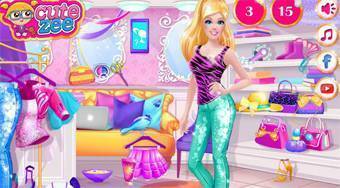 Do you like Dreamhouse Life Barbie's Boutique? Share it with your friends. Dreamhouse Life Barbie's Boutique - help beautiful Barbie to find all the trendy pieces that caught her eye in her favorite boutique.